West Virginia is a state located in the Appalachian region in the Southern United States that is also considered to be a part of the Middle Atlantic States. It is bordered by Pennsylvania to the north, Maryland to the east and northeast, Virginia to the southeast, Kentucky to the southwest, and Ohio to the northwest. 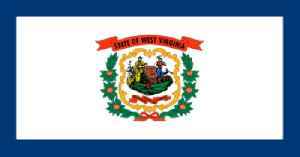 West Virginia is the 41st largest state by area, and is ranked 38th in population. The capital and largest city is Charleston.